Leeds United chairman Massimo Cellino has been acquitted on appeal for failing to pay VAT on a Range Rover imported into Italy from the USA. He was found guilty of tax evasion by a court in his home country last June. 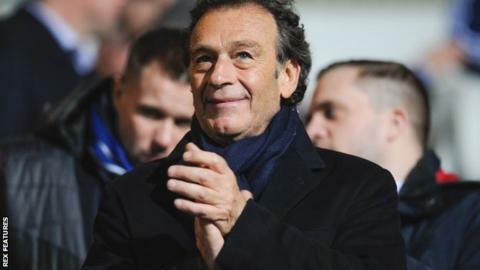 The ruling led to him being disqualified from involvement with Leeds under the Football League's owners' and directors' test. His ban was deferred and the Football League will now discuss the matter at Thursday's board meeting. Italian newspaper L'Unione Sarda reports that Cellino's acquittal was a result of a change in Italian law, which saw the offence he was charged with being decriminalised. Leeds ended the Championship season in 13th place.